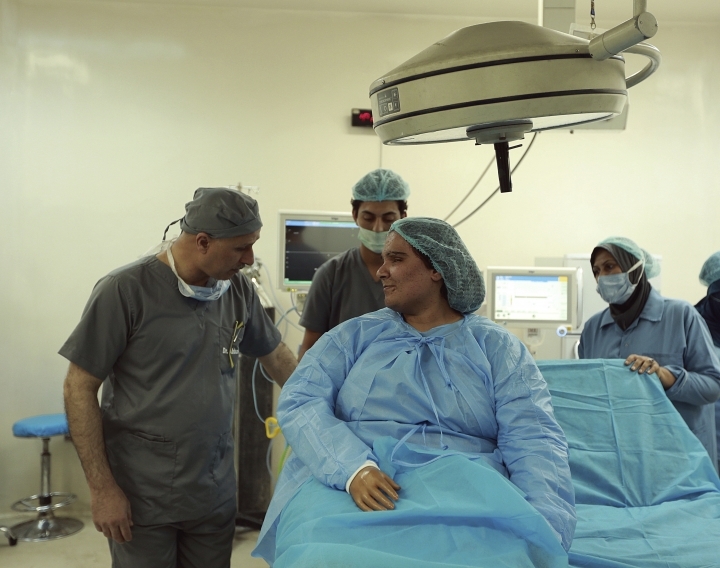 BAGHDAD — It was spring 2007 in northern Iraq when 6-year-old Saja Saleem raced home from school with the good news about her excellent grades, hoping to receive the gift her father had promised her. "All of a sudden, I found myself spinning into the air with fire trailing from my school uniform after a loud boom," Saleem, now 17, recounted to The Associated Press. 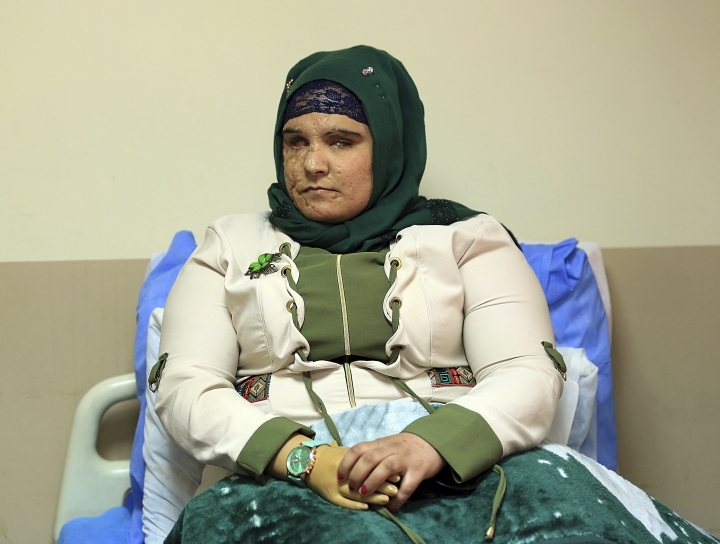 Saleem lost her eyesight, right arm and an ear in the explosion, set off by a roadside bomb. Months later, her disfiguring injuries forced her to drop out of school after other students complained about her "scary face." 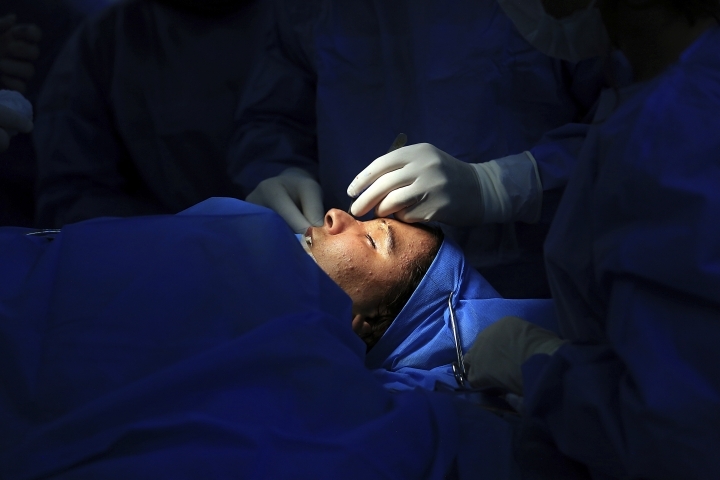 "When I hit the ground, I felt severe pain all over my body ... 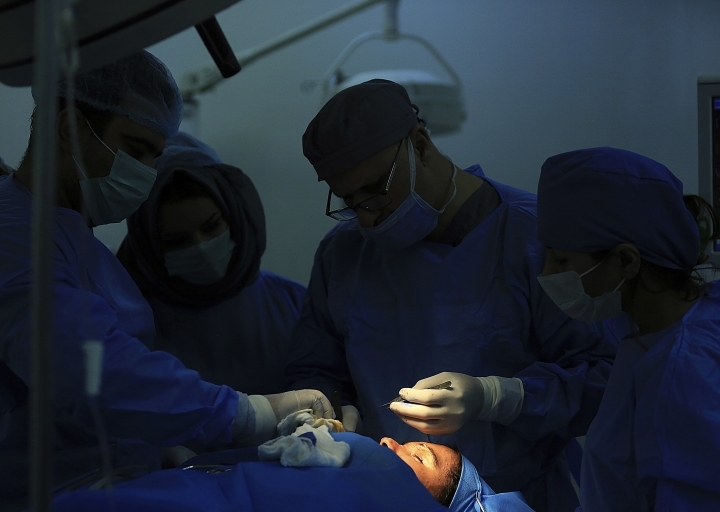 I was bleeding, a pool of blood around me ... everything turned dark and I lost consciousness," she recalled from her bed at a Baghdad hospital where she is undergoing free reconstructive and plastic surgeries. 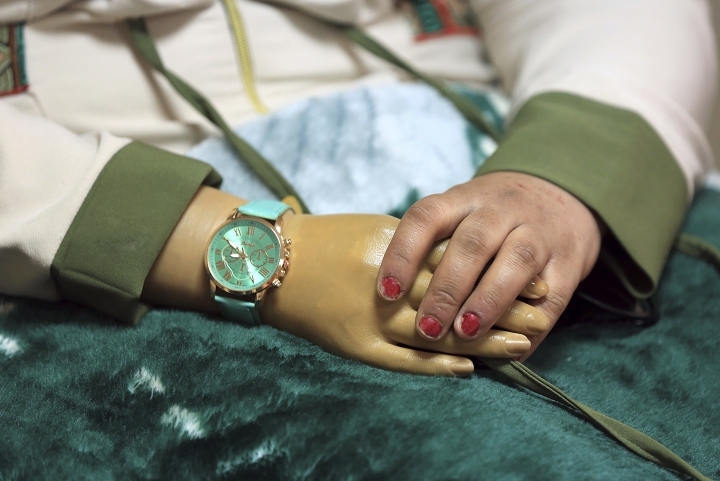 Saleem's mother, Khawla Omar Hussein, remembers her daughter's screams when three weeks later, she regained consciousness and realized she had lost her right arm and ear. "She woke up screaming, crying: 'Mammy, mammy'," Hussein recalled. "Then she asked: 'Why can't I see and why is everything dark?'" Nearly two years later, Saleem's family tried to send her back to school where she was accepted only as a "listener" in class, accompanying her brothers. 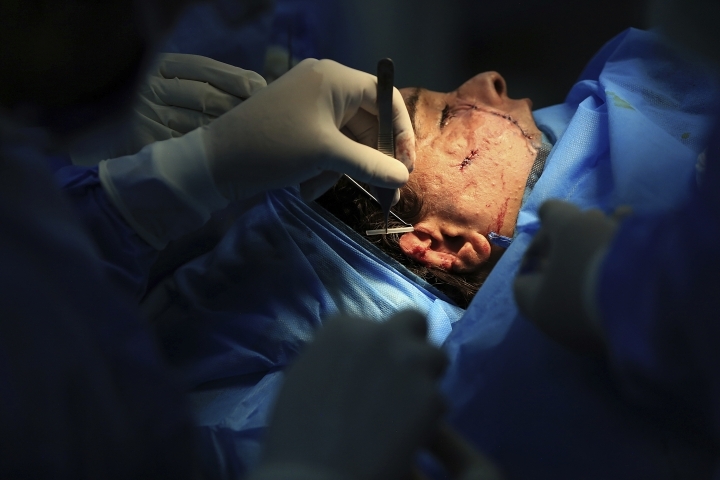 But that arrangement ended soon as other students and teachers complained that her disfigured face was bothering them. 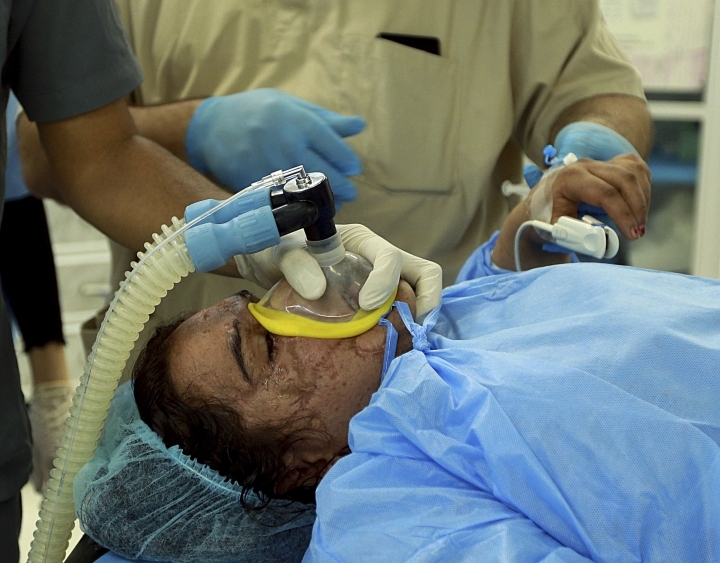 "I was crying day and night and became a very reclusive person," Saleem said. 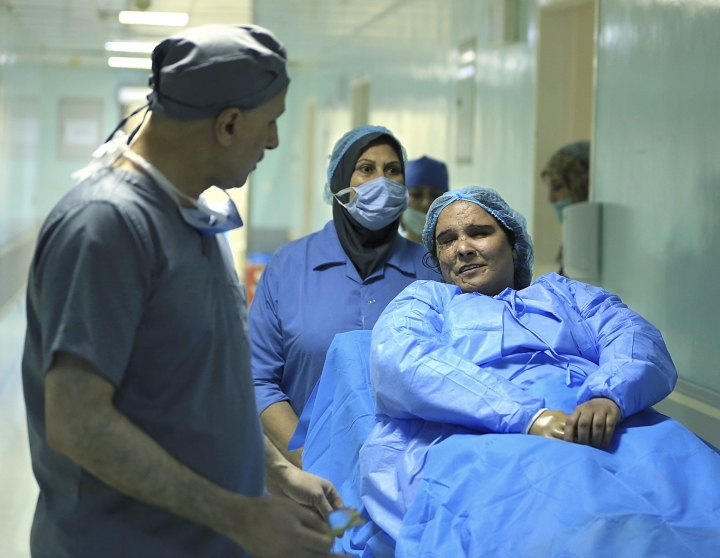 After the state-run hospital couldn't go beyond the necessary treatment to save her life, Saleem's family looked for plastic and reconstructive surgery for her at a private clinic, but they couldn't afford the doctor's $7,500 fee. Then, late last year, her mother made an appeal, posting photographs of Saleem and details about her ordeal in a public group on Viber. 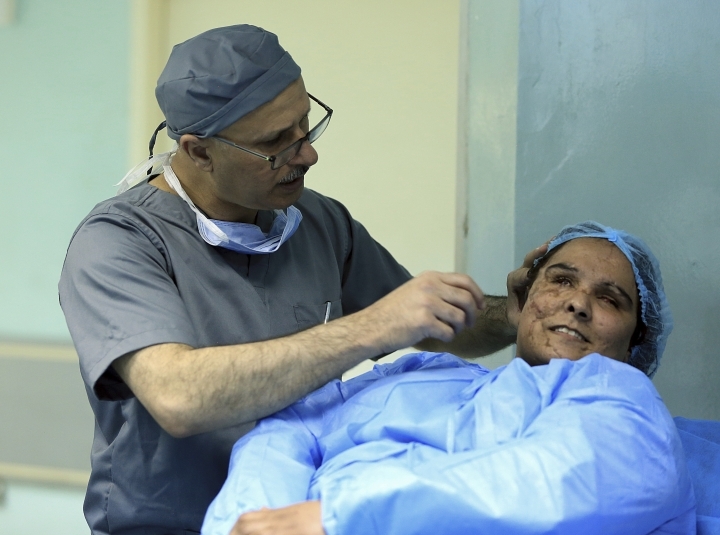 Days later, Baghdad-based Dr. Abbas al-Sahan, one of Iraq's best plastic surgeons, offered to do free surgeries. Saleem's family feels she is lucky. Not everyone gets the help they need through social media.